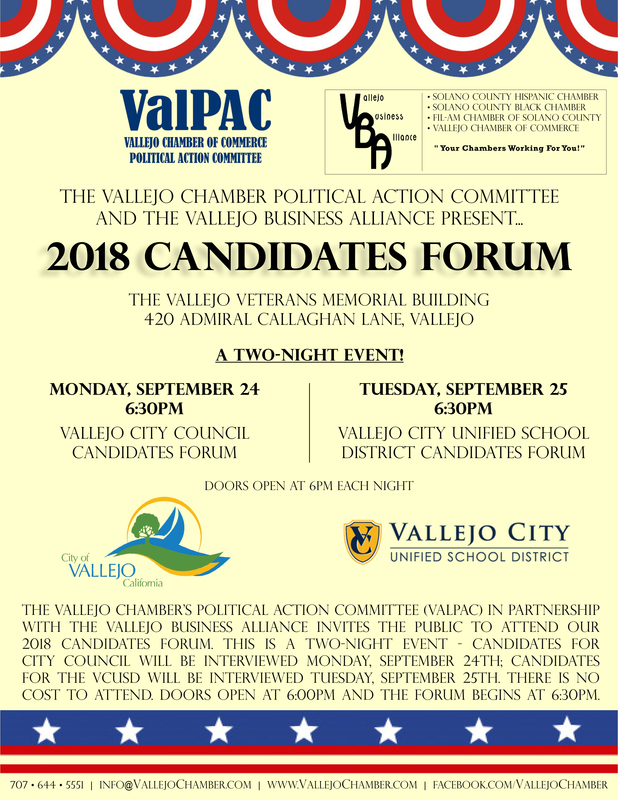 The Vallejo Chamber's Political Action Committee (ValPAC) in partnership with the Vallejo Business Alliance invites the public to attend our 2018 Candidates Forum. This is a two-night event - Candidates for City Council will be interviewed Monday, September 24th; Candidates for the VCUSD will be interviewed Tuesday, September 25th. There is no cost to attend. Doors open at 6:00pm and the forum begins at 6:30pm.